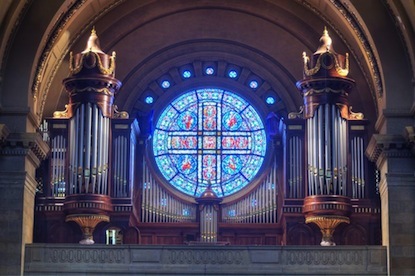 Thank you for stopping by this part of the website to learn more about how to become a Catholic Christian. No doubt God has already been at work in your life, drawing you closer to himself and his Church. Have a look around this page, and if you'd like more information, please call 651.228.1766. 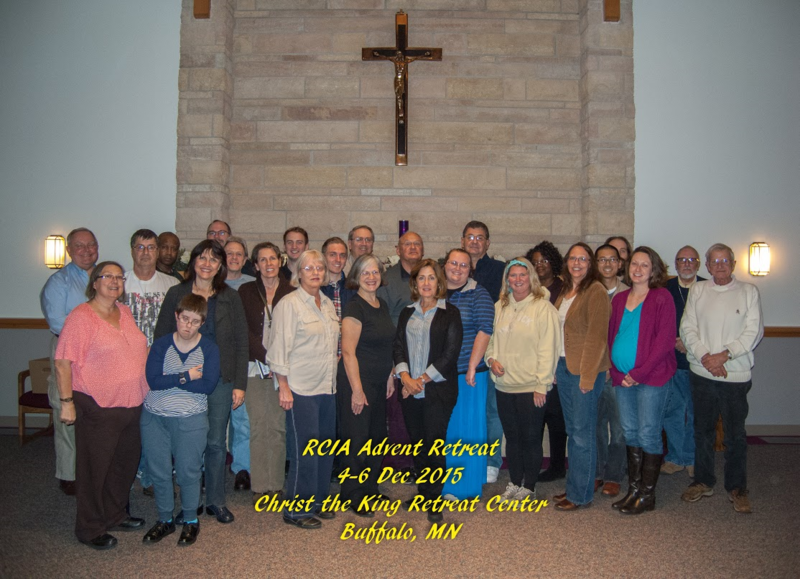 Photo: RCIA Advent Retreat, December, 2015. 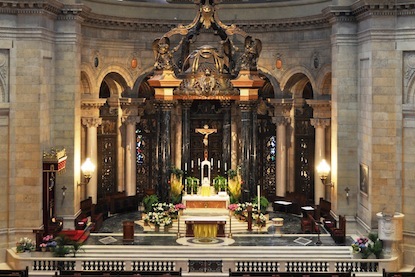 RCIA, which stands for the Rite of Christian Initiation for Adults, is an extended period of evangelization (developing a relationship with Jesus Christ), catechesis (instruction in the faith), and spiritual formation (deepening in faith) in the Roman Catholic Church. 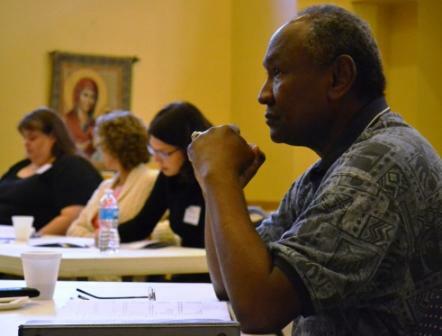 Although it is primarily the process by which people become full members in the Roman Catholic Church, RCIA welcomes serious inquirers at all levels of knowledge, faith and intent--in other words, you do not need to feel like you're ready to become Catholic before you begin RCIA. Ultimately, though, the process culminates in the reception of one or more of the Sacraments of Initiation: Baptism, Confirmation, and Eucharist, and full membership in the Catholic Church. 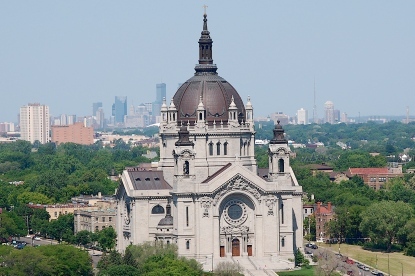 At the Cathedral of Saint Paul, optional weekly pre-RCIA meetings, a program which we call Introducing Catholicism, are offered over the summer. The formal RCIA process begins in early September and ends about a month after Easter. RCIA meets Thursday nights from 7:00 to 9:00 p.m. in Hayden Hall in the lower level of the Cathedral and Sundays for Mass at 10:00 a.m. 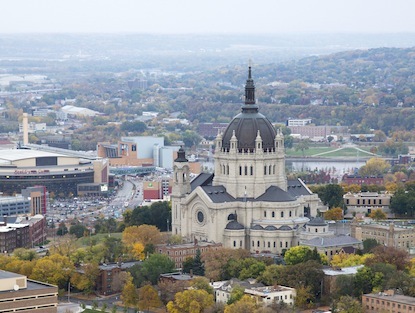 If you or someone you know would like to become part of RCIA at the Cathedral, please call 651.228.1766. Photo: The newly Baptized, Received, and Confirmed at the Great Vigil of Easter, 2016. Inquirers are invited to deepen their understanding of how God has been active in their lives, and begin to learn what the Catholic Church believes, teaches and proclaims to be revealed by God. Inquirers are recognized by the Church as genuinely seeking greater instruction and formation. Dismissals begin, where RCIA participants depart Sunday Mass after the homily to go study the Word of God together. The catechumens (non-baptized) and candidates (baptized) reflect more deeply on the Gospel of Jesus Christ, His Church, and their personal journeys of faith. The catechumens are welcomed by the bishop and declared “elect” in the sight of the Church—as legitimately seeking baptism. Candidates are also blessed by the bishop. Those elected for Baptism together with the candidates deepen their prayer and examine their lives more closely as they prepare to celebrate the Sacraments of Initiation. 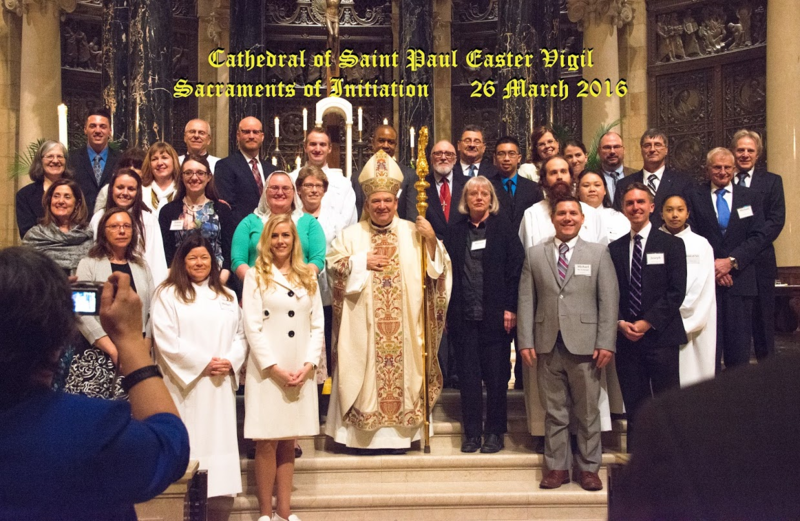 The elect and candidates profess their faith and receive their Sacraments of Initiation at the Great Vigil of Easter, welcomed into full communion with the Catholic Church. The newly initiated persons reflect further on the mystery of the Easter Sacraments and become more integrated into the community of the Church as faith-filled and active disciples of the Lord. 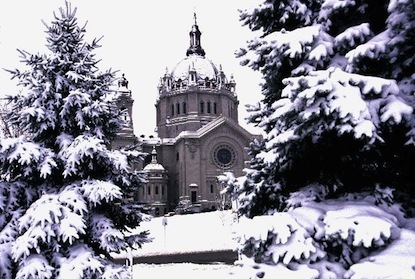 For more information about RCIA, or to register, please call 651.228.1766.